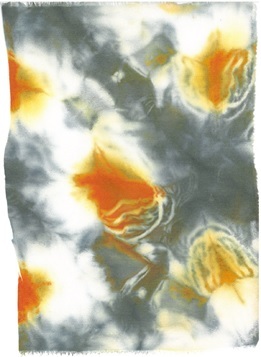 On Sunday, 29 May from 1-5pm join the New Brunswick Museum for a one day Natural Dyes workshop with New Brunswick Artist, Denise Richard. 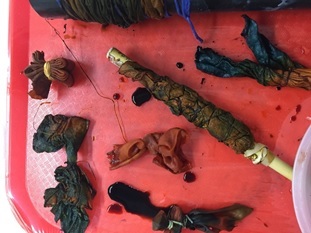 In this Natural Dye workshop, participants will explore a variety of dyes including plants, roots, wood and insect dyes. 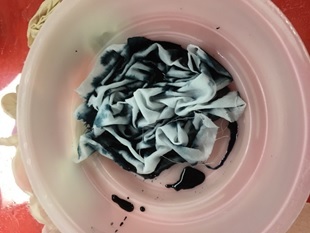 By the end of the workshop, they will have learned to record their methods, have a multitude of samples, and learn simple Shibori techniques to create a unique natural dye silk scarf. There will also be a short presentation by Peter Larocque, NBM Curator, looking at some fantastic pieces from the collection that use natural dye techniques. The NBM spoke with Denise about herself and her art practice. Keep reading to learn more about her career and what participants can look forward to in the workshop! Denise Richard has a Diploma in Art, Craft and Design from the Kootenay School of the Arts at Selkirk College in British Columbia. 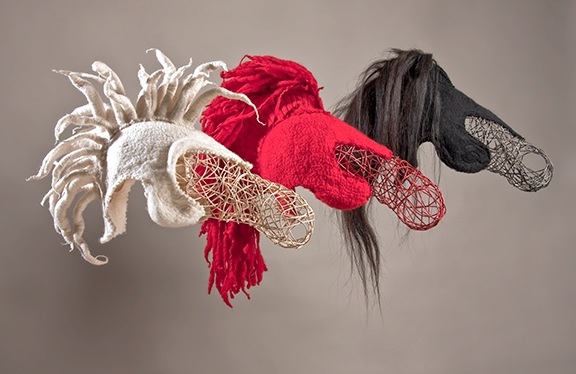 She is a multi-disciplinary craftsperson and designer, the focus of her studio work being the use of natural dyes and the exploration of felt in both sculptural and functional forms. She has shown her work in solo exhibitions and group shows in Canada and Europe. Denise has been an instructor since 2005 and is currently teaching in both the Foundation Visual Arts and Fibre Arts studios at the New Brunswick College of Craft and Design (NBCCD). NBM: Tell me a little bit about your practice. What materials do you use and where do you draw your inspiration from? DR: My practice has evolved over the years, but I am definitely technique oriented. I continually learn techniques that inform my new work. For example I learned to felt and explored this medium as much as possible for a variety of products. I make everything from boiled wool rugs, furniture and garments, to Jim Hanson inspired puppets and felted mask for stage. What interests me is to defy design obsolescence. I want to design functional items, made from quality natural materials that will last a very long time. I dye most of my own fibres and textiles and create my own yardage for various projects. I work mainly with wool, silk, horse hair, linen and leather. NBM: If you weren’t an artist and a teacher, what do you think you would be doing? DR: If I weren’t a designer and teacher, I would be a puppeteer. NBM: We understand you have an interest in theatre and have done costume design for several productions. In what ways does theatre inform your artwork and vise versa? 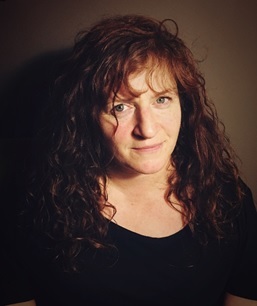 DR: What attracts me to theatre is working collaboratively with the Artistic Director and creating a new world which convinces the audience that they are somehow a fly on the wall, witnessing someone else’s story. I love to watch my work come to life on stage and watch the audience react to the work. NBM: Do you have any hidden talents that not very many people would know about you? DR: My hidden talent? I am quite fearless when it comes to my work and I am not afraid to take risks. NBM: Are there any artists or craftspeople that you look to for inspiration (living or dead)? DR: I admire a great many designers and artists but at the moment, the two that I look to for inspiration are Philippe Starck and Alexander McQueen. 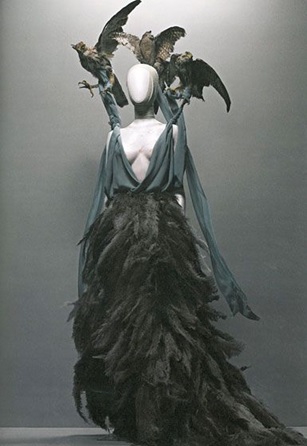 Alexander McQueen was above all an amazing craftsmen. I have yet to see anyone manipulate fabric like him. 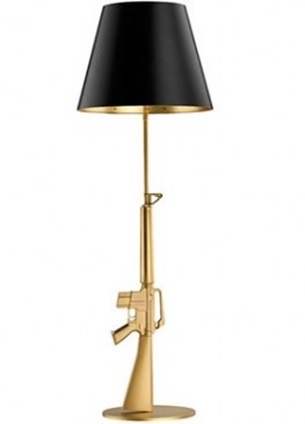 As for Starck, he is a bold designer who works in a variety of mediums and he is very innovative with materials. Lamp by Phillipe Starck and gown by Alexander McQueen. NBM: What can workshop participants look forward to learning on 29th May? 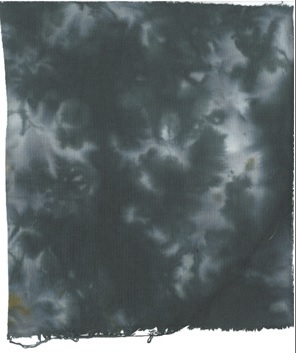 DR: In the Natural Dye workshop, students will explore a variety of dyes including plants, roots, wood and insect dyes. By the end of the day, they will have learned to fill in data sheets for recording their methods, they will have a multitude of samples and they will learn simple Shibori techniques to create a unique natural dye silk scarf. The NBM hopes to see you at Denise’s workshop on Sunday, 29 May from 1-5pm! The registration fee is $99 for NBM members and $110 for non-members. Registration is required to hold the seat. To register call 643 – 2349/1-888-268-9595.